Did you know that yellow dock syrup can increase iron? That herbal tea with lemon balm and passionflower can ease migraines? 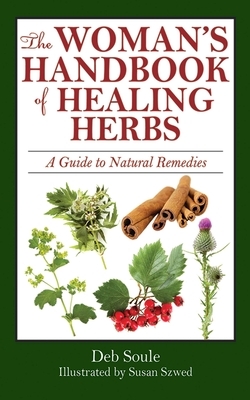 Inside The Woman’s Handbook of Healing Herbs are simple and practical herbal remedies for women to use in the day-to-day care of their bodies and their souls. Learn how to start an organic garden, gather your herbs and flowers, and prepare them. More than just a how-to book, The Woman’s Handbook of Herbal Healing is a handbook of empowerment and kindness that every woman should own.